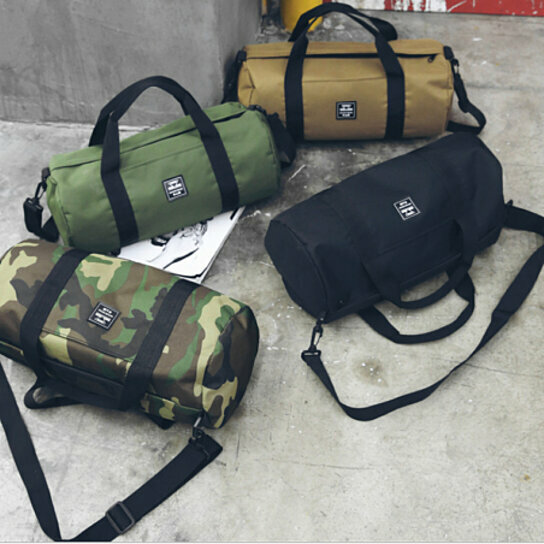 Please select an option Black Army green Camo Khaki Please select a color. This heavyweight canvas sports duffel is great to throw your gym gear in or for overnight travel. It's big enough to hold your shoes and a change of clothes, yet small enough to be easy to carry around by the grab handles in the middle or the adjustable shoulder strap. It's also great for sporting equipment. Measures 24 inches in length.